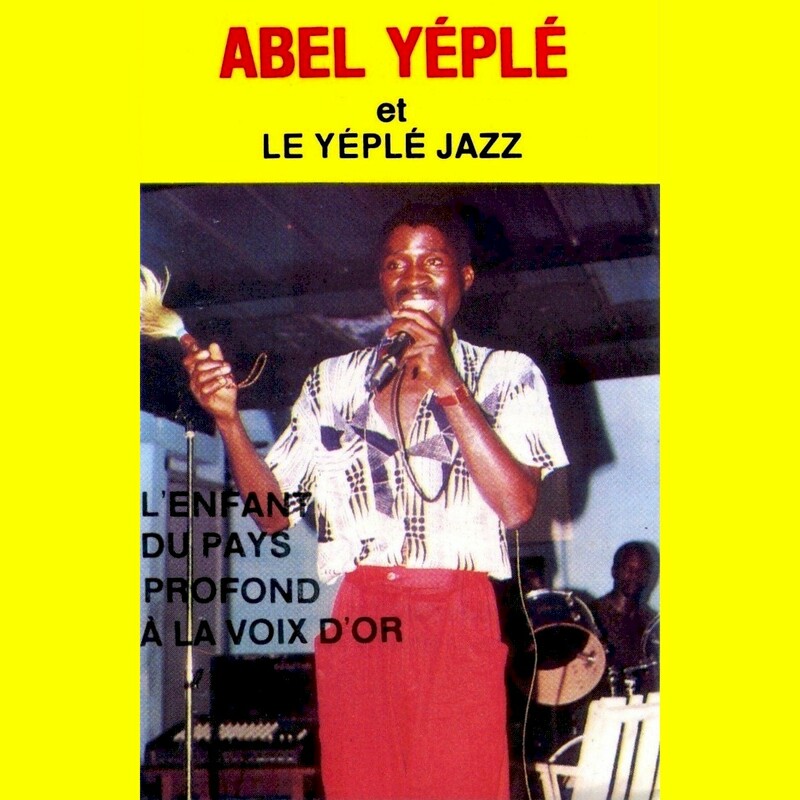 From the little I've been able to find out about him, Abel Yéplé of Ivory Coast has had a long career. I suspect he may have passed away recently. 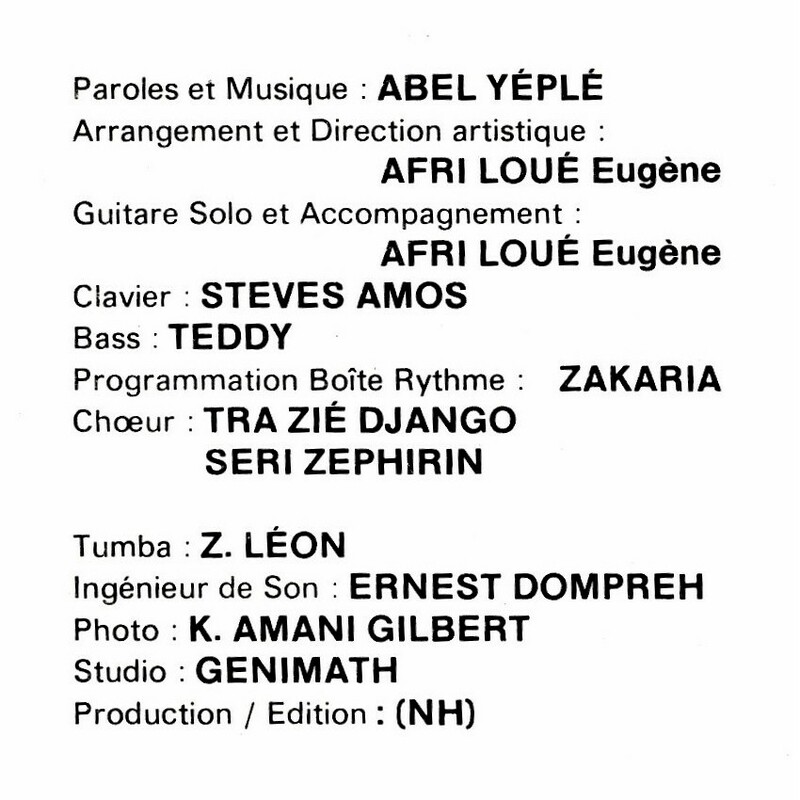 I don't know enough about Ivorian music to situate his sound within the panapoly of musical styles there: Ziglibithy, Polihet, Zoblazo, Zouglou and so forth. Judging by today's offering - 1992's Adji Aka (EMI NH0013) he borrows a little bit from all of them. Whatever you want to call it, it's fine, fine music! Download Adji Aka as a zipped file here. 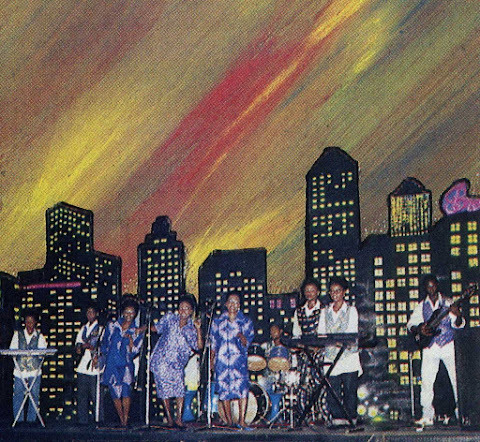 The musical roots of zouglou lie in the local Ivorian musical styles tohourou and aloucou from western Côte d’Ivoire, which became popular in the urban centres in the 1960s and 70s. 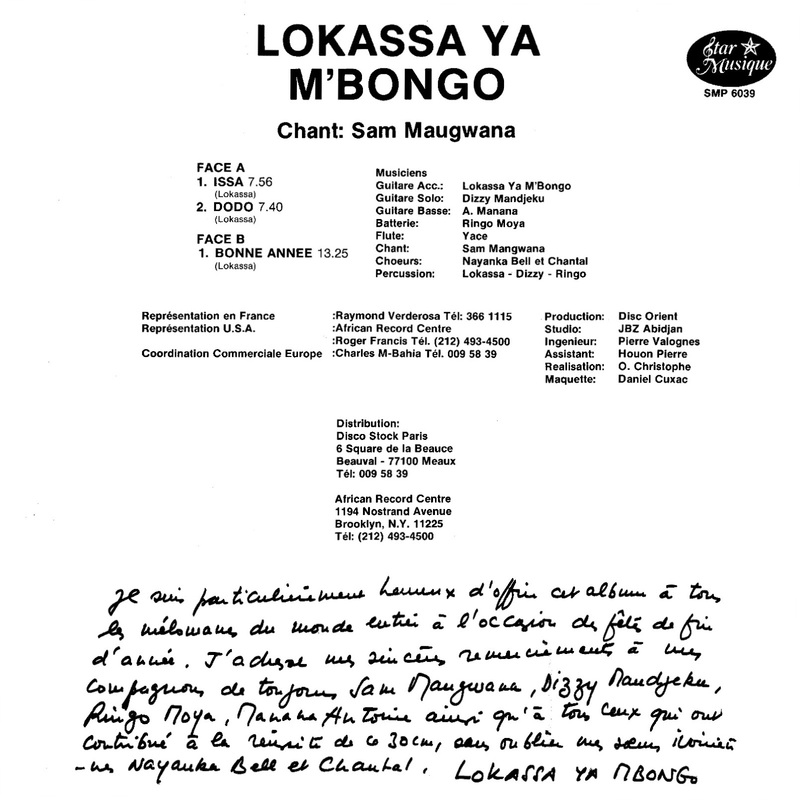 The direct musical base of zouglou music grew out of what is known as ambiance facile or woyo: chants to percussive music on improvised instruments such as metal scrapers, glass bottles and of course drums. 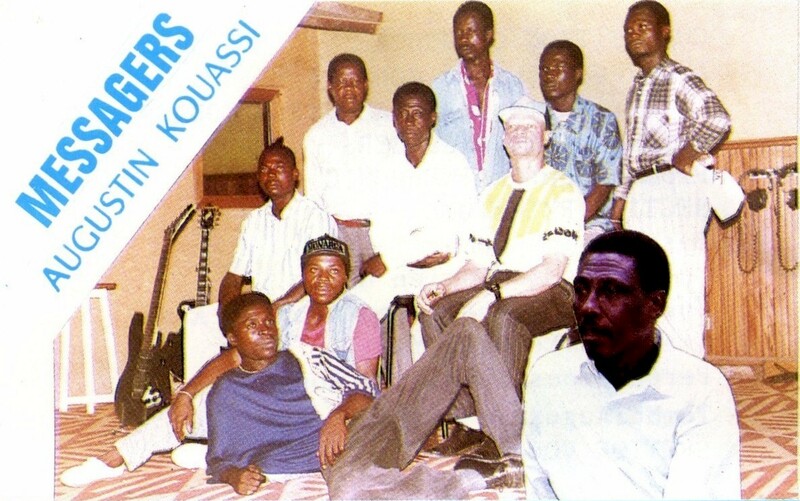 This music grew out of the songs that accompanied sports competitions in Côte d‘Ivoire‘s schools during the 1980s. Groups of students that called themselves “supporters committees” would accompany sports teams to the games and make up songs to encourage their teams. As school teams and their supporters committees travelled to matches against other schools across the country, they picked up new melodies and rhythms along the way. Ambiance facile and woyo music sessions also became a popular past-time in Abidjan’s working class (popular) neighborhoods. In these multi-ethnic neighborhoods, children and teenagers would teach each other songs from their home regions. 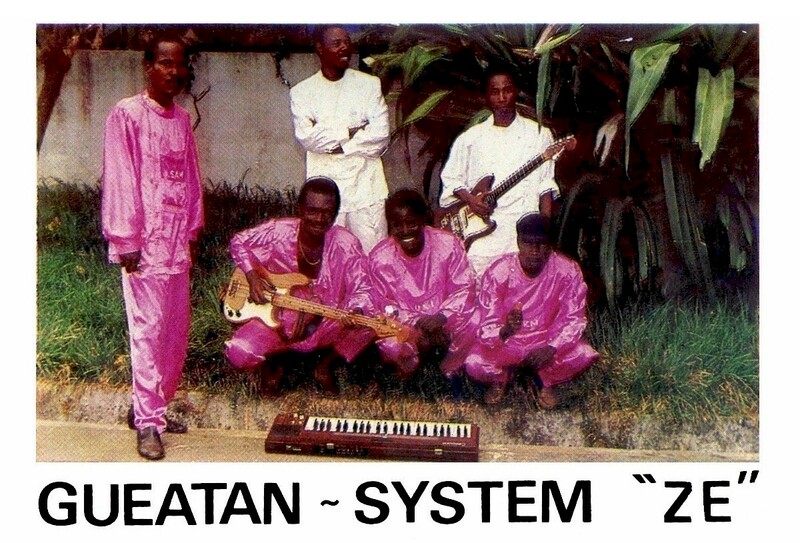 This mostly unrecorded leisure music is still popular across Côte d’Ivoire. 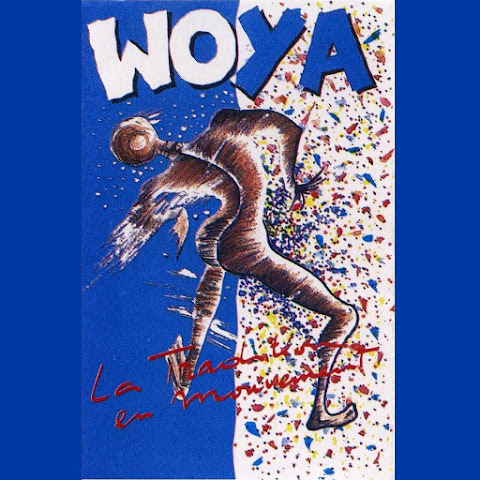 Through the sports matches and neighborhood sessions, ambiance facile drew on rhythms and melodies from many different regions of Côte d’Ivoire. 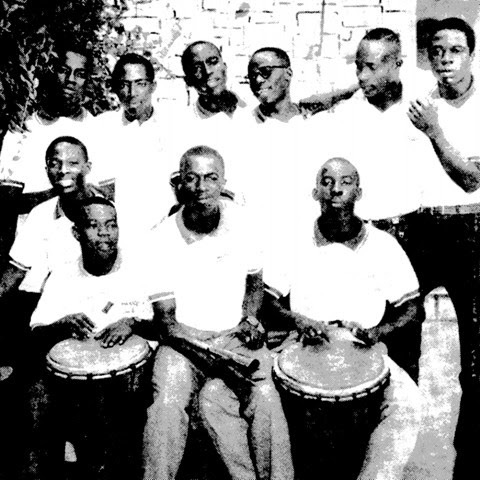 Zouglou music also drew on these rhythms and melodies and thus became the first musical style that was considered to be multi-ethnic and nationally representative of Côte d’Ivoire. The musical group Zougloumania, founded by the duo Poignon and Bouabré in 1990, was the biggest of the "First Generation" of zouglou groups. 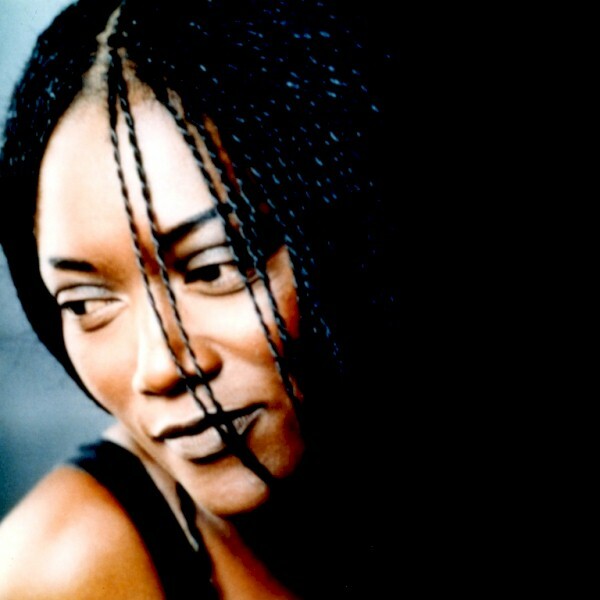 Its first and apparently only release, Zomammanzo (EMI E028991-4, 1991), hit the scene like a bombshell, becoming the greatest hit of the zouglou era, exceeded only by Magic System's "Premier Gaou," released in 1999. 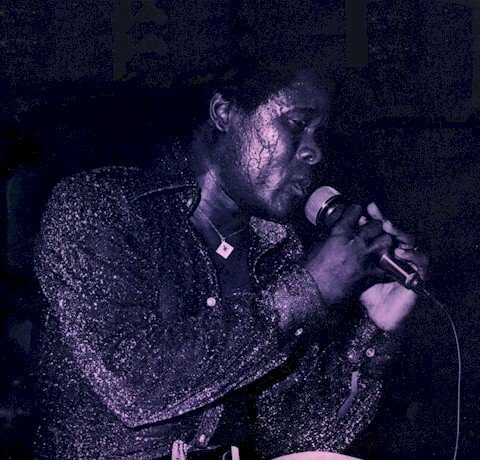 Listening to it, it's not hard to understand why - every track on Zomamanzo is a scorcher! After this auspicious debut, Poignon and Bouabré went ther seaparate ways, bringing an end to Zougloumania. 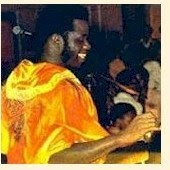 Bouabré moved to France and Poignon remained in Abidjan, becoming a solo artist as well as performing with Les Doyas, a trio composed of Poignon, Alan Bill and Yodé Côcô. He has lately been afflicted with facial paralysis and is in need of proper medical care. Let's hope he recovers soon! Download Zomamanzo as a zipped file here. The cassette Wika Ô Ma (ALPHA 003, 1992), by N'Gosséré Ballo, is the kind of down-home traditional music that is found throughout Africa, but seldom gets much attention outside of it. I don't know anything about Ms. Ballo. 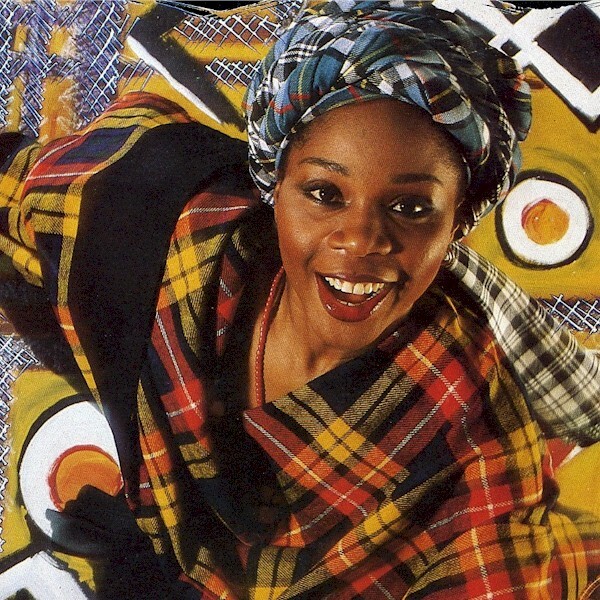 Wika Ô Ma was recorded in Abidjan and released on Alpha Blondy's label, so I'm assuming she's from Ivory Coast, but maybe not. 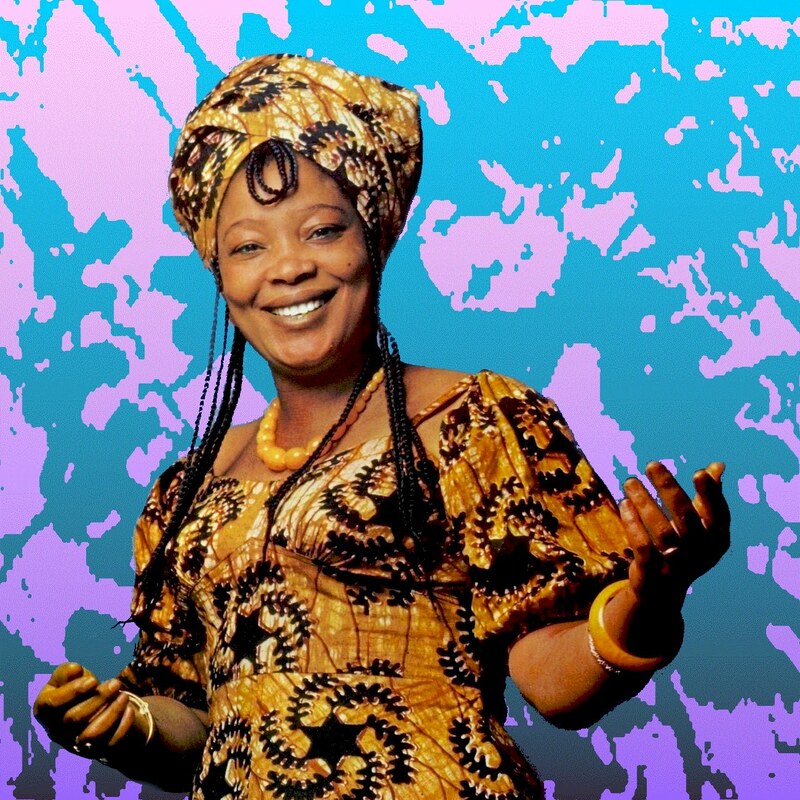 The title track was featured on a 1995 compilation entitled Coleur Mandingue, so I'd guess she is a member of one of the many Mandé ethnic groups descended from the old Mali Empire who live throughout West Africa (see map below). 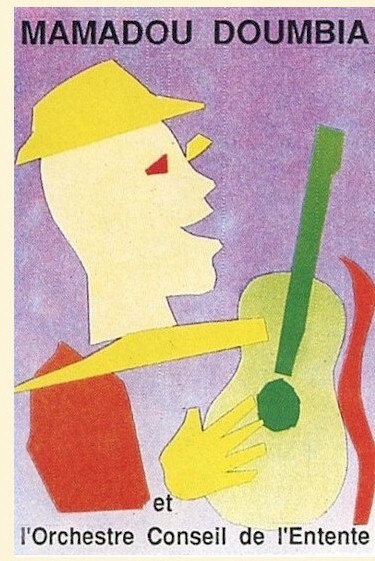 Can anyone out there tell us more about this wonderful artist? Not just her lovely voice but the percussion and backing vocals on this recording are all first-rate. 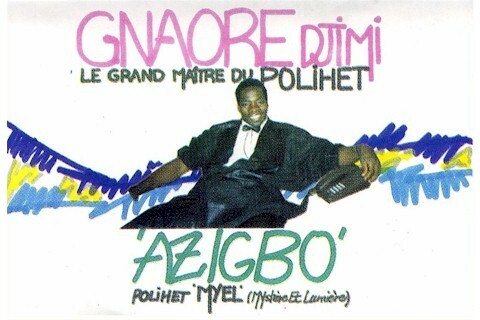 What a shame this is apparently N'Gosséré Ballo's only release! 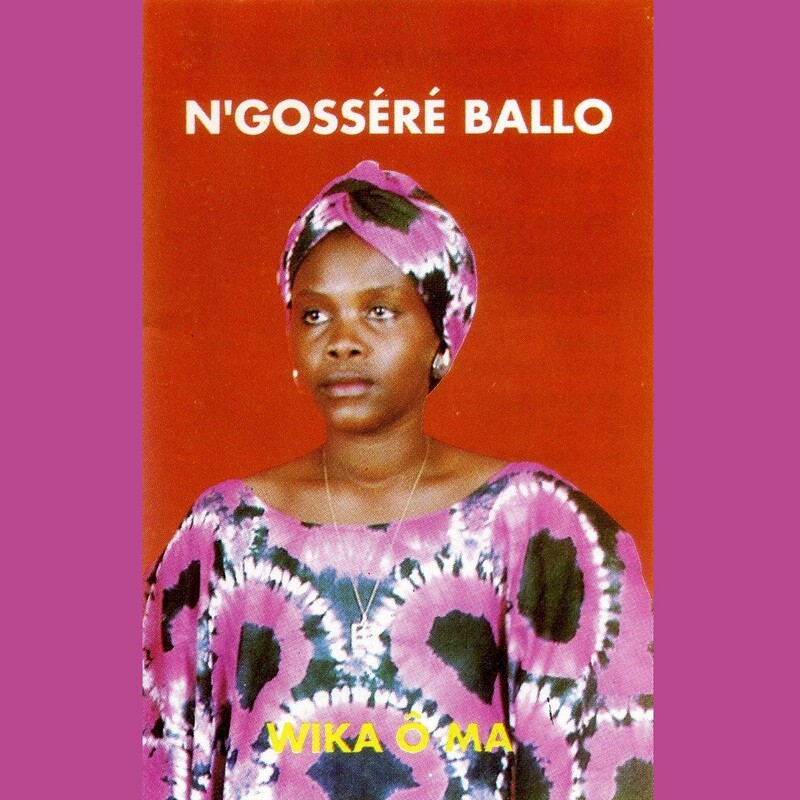 Download Wika Ô Ma as a zipped file here. Here's a quick post to celebrate the New Year and fulfill a promise. 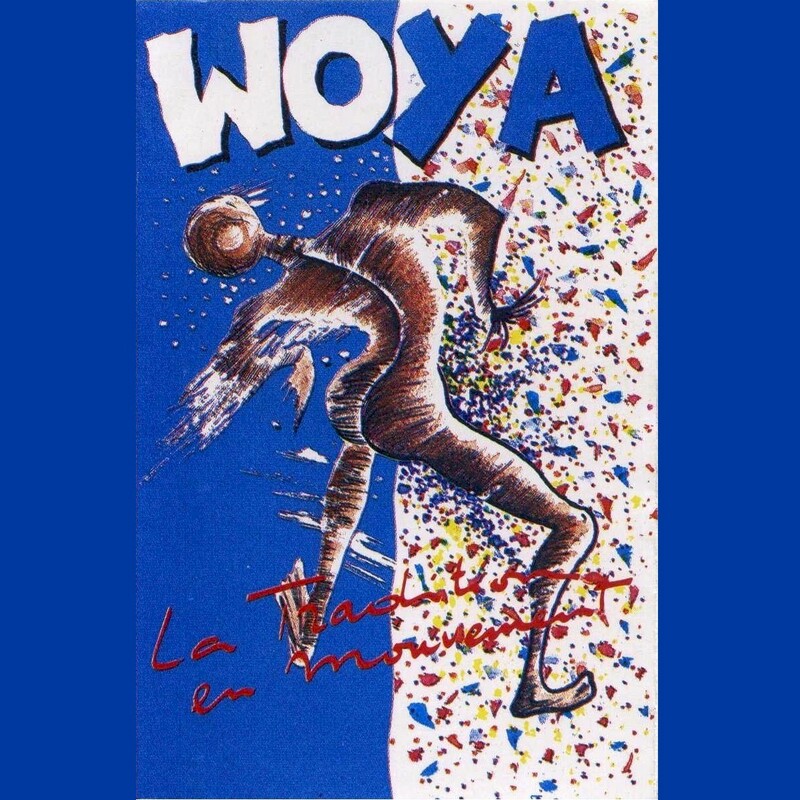 A while back I posted La Tradition en Mouvement by the Ivorian funk/zouk group Woya and pledged I would also make available their first and biggest hit, Kacou Ananzé (African 425.004, 1986). Well, here it is! I remember not caring for this LP a whole lot when it first came out. Something about synths and especially drum machines just put me off. After listening to it for the first time in at least twenty years I must amend that judgement. Kacou Ananzé is catchy, danceable and captures perfectly the Zouk sound, then sweeping out of the French Antilles and across Africa and the world. 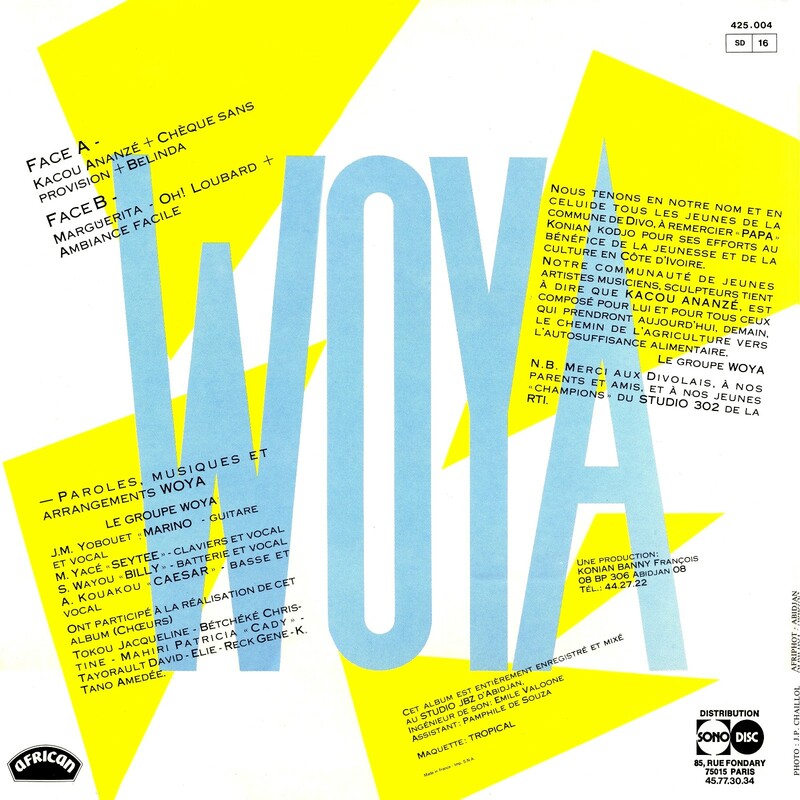 It was a deserved best-seller for Woya. 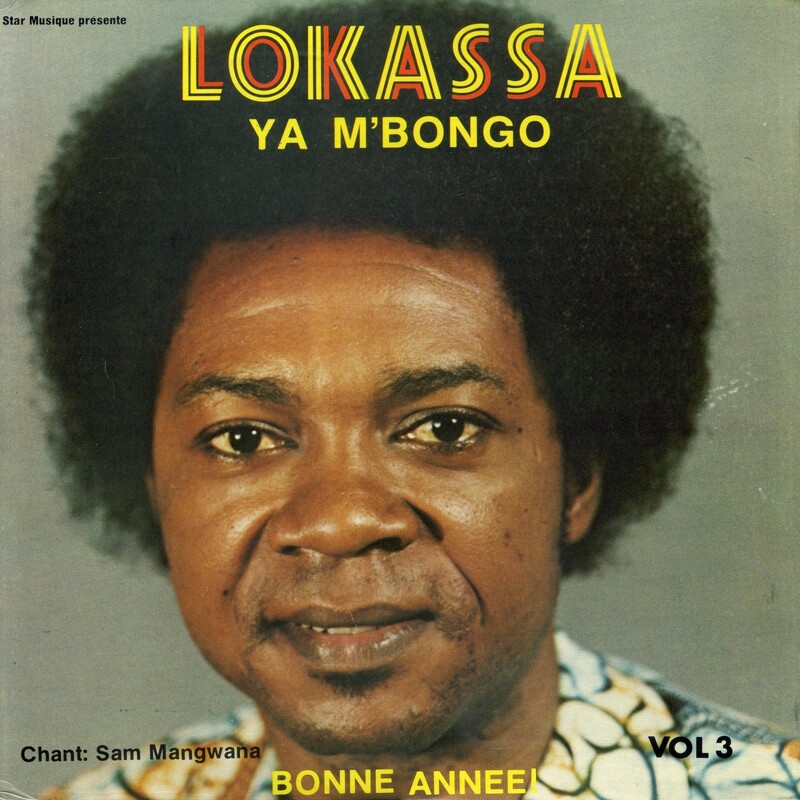 I wasn't able to find out much about the album online, but I did discover tha "Kacou Ananzé" is an illustrious figure in West African folklore, an egotistical spider who is contually led to misfortune by his own hubris and vanity. As "Anansi the Spider" these stories have made their way to the Caribbean and to the United States as "Bre'r Rabbit." 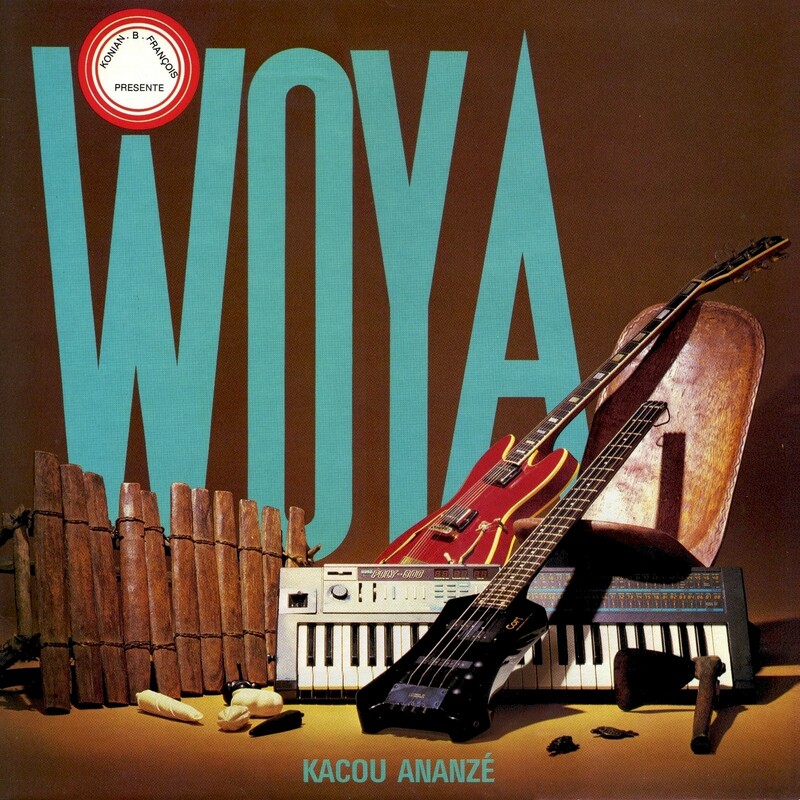 Enjoy Kacou Ananzé, and Bonne Année! Download Kacou Ananzé as a zipped file here. 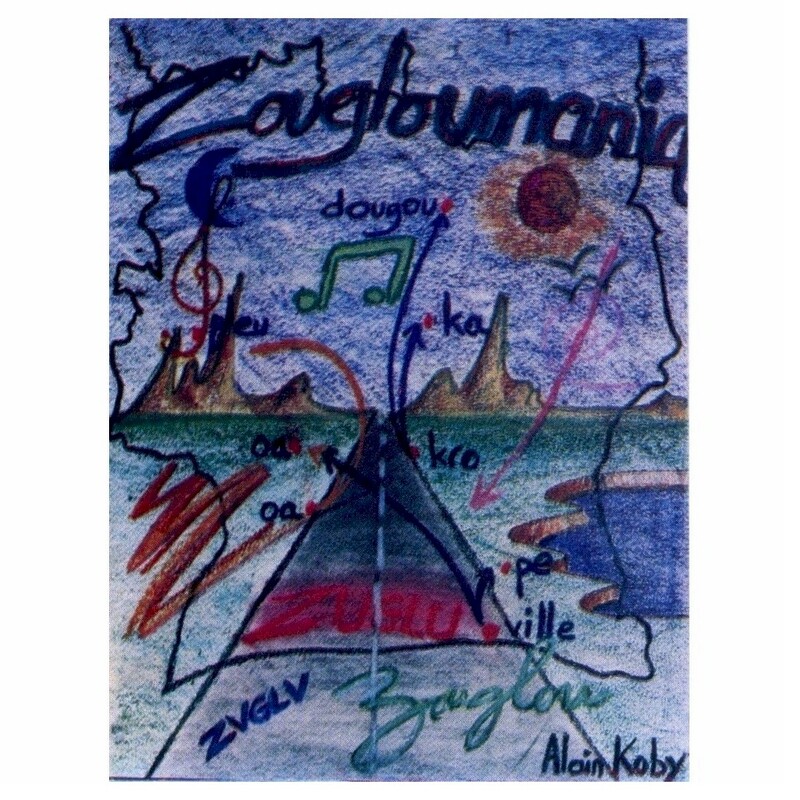 "...Through its emphasis on social and political criticism, zouglou developed into a form of Ivorian counter-culture. 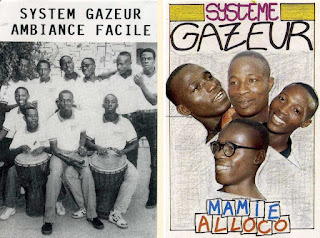 Zouglou musicians represent the perspective of marginalized youth and social underdogs and have been very critical of the devastating behavior of the wealthy and politically powerful in Côte d’Ivoire. 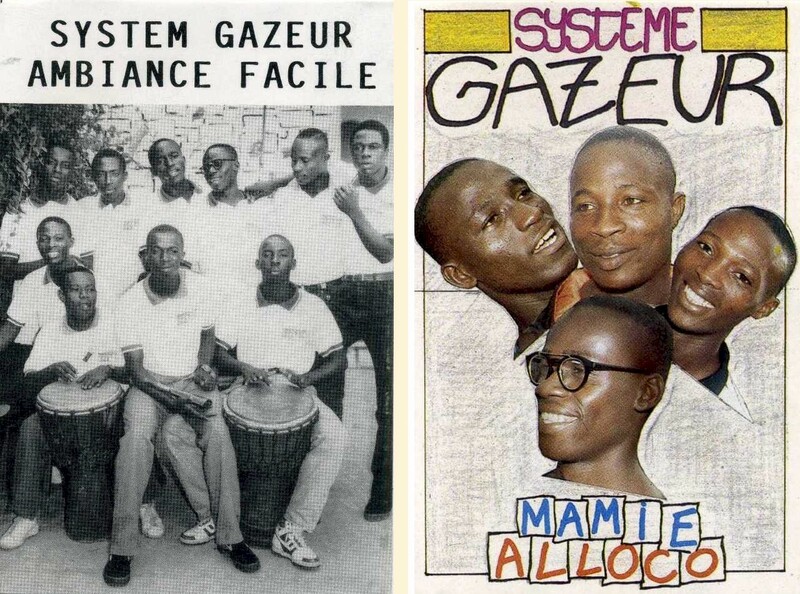 Zouglou artists see their role as speaking truth to power, because, according to a famous nouchi (Ivorian street slang) saying, gbê est mieux que drap: “the truth is better than shame”. Zouglou music gave the youth in Abidjan a platform from which to participate in the public debate...."
As is often the case, I've been unable to find out much about Les Côcôs. After their first release, the cassette Zouglou Gnakpa (EMI EO38192-4, 1992), they seemed to disappear without a trace. 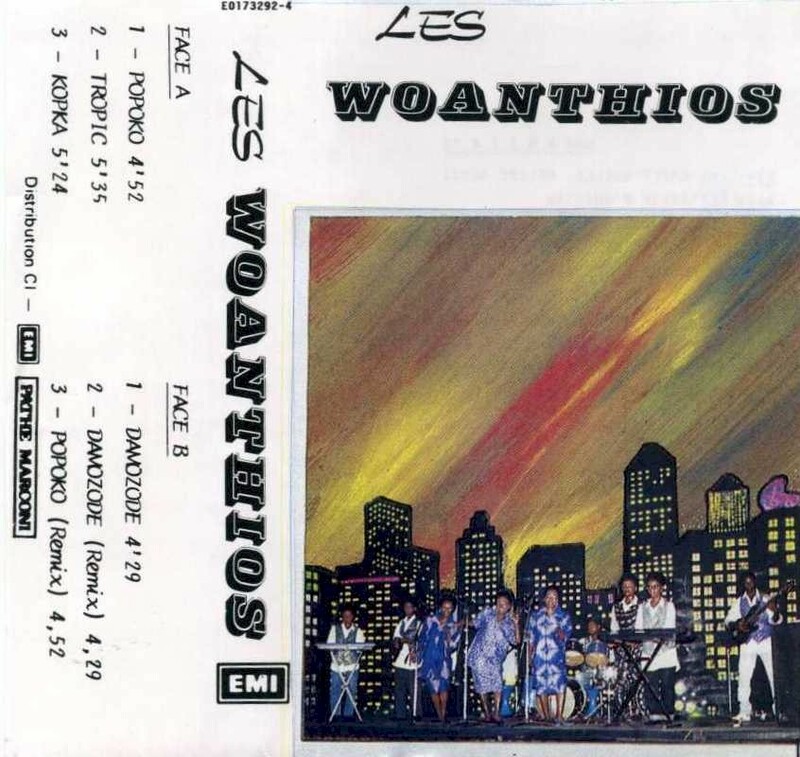 That one, however, was a good seller and spawned at least one hit, "L'Enfant Yode" (listed as "Les Côcôs" on the inlay card), which has been included on several CD compilations. 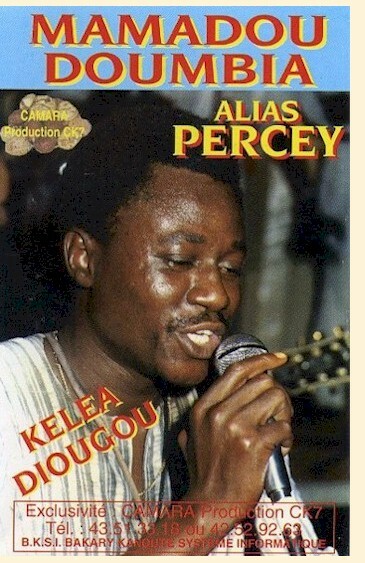 Enjoy Zouglou Gnakpa now! 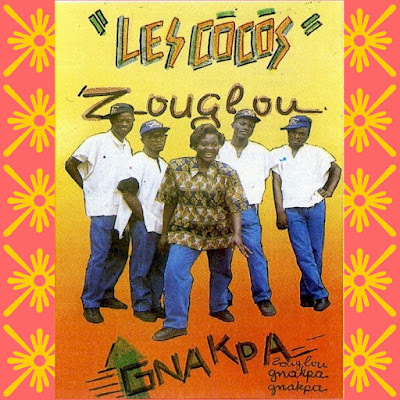 Download Zouglou Gnakpa as a zipped file, complete with scans of the inlay card, here.